On November 9th 2017 we lost Chuck. Words can not express the devastating loss Faith No More Followers admin feel. Until we can process this, we will reserve any personal comments and express our feelings at a later date. Rest In Peace brother. Photo | William Lacalmontie Chuck's family issued a statement on November 10th concerning their loss. "After a long period of sobriety, Charles Henry Mosley III lost his life, on November 9th, 2017, due to the disease of addiction," Mosley's family wrote in a statement. "We’re sharing the manner in which he passed, in the hopes that it might serve as a warning or wake up call or beacon to anyone else struggling to fight for sobriety. He is survived by long-term partner Pip Logan, two daughters, Erica and Sophie and his grandson Wolfgang Logan Mosley. The family will be accepting donations for funeral expenses." 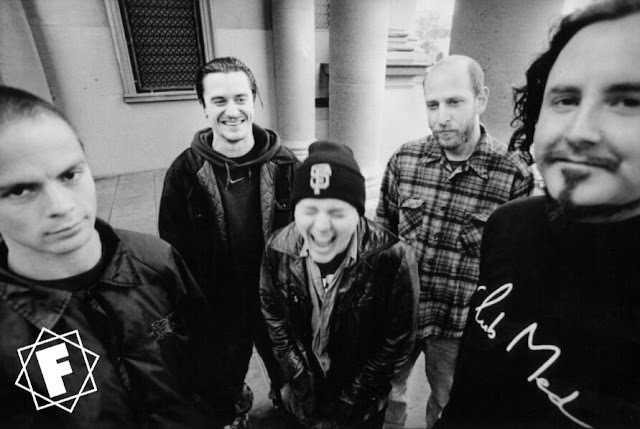 Faith No More added their own words. 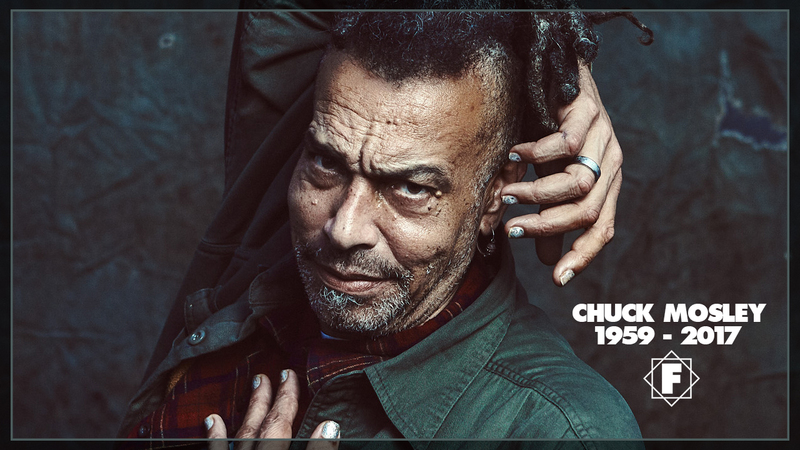 '"It’s with a heavy, heavy heart we acknowledge the passing of our friend and bandmate, Chuck Mosley. He was a reckless and caterwauling force of energy who delivered with conviction and helped set us on a track of uniqueness and originality that would not have developed the way it had had he not been a part. How fortunate we are to have been able to perform with him last year in a reunion style when we re-released our very first record. His enthusiasm, his sense of humor, his style and his bravado will be missed by so many. We were a family, an odd and dysfunctional family, and we’ll be forever grateful for the time we shared with Chuck." 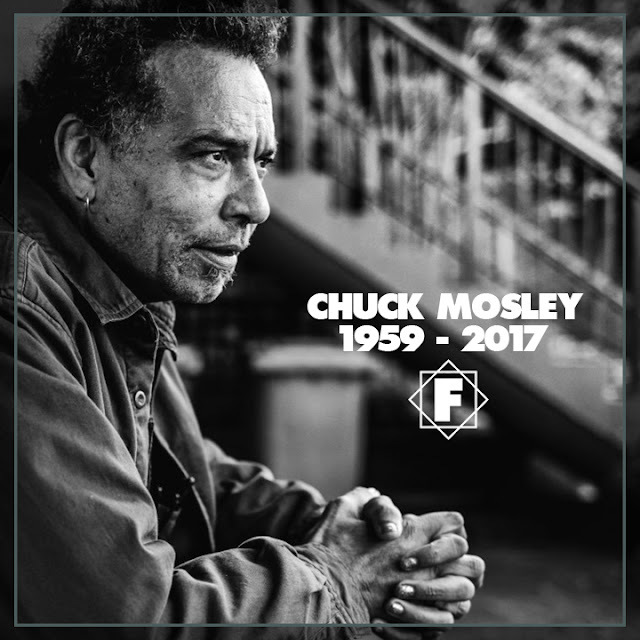 Matt Wallace, long time FNM producer has recently been working with Chuck for the first time in nearly 30 years, reflected on his friend. 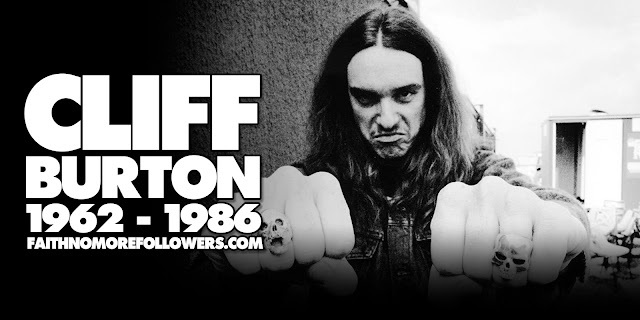 Tributes to the late singer have come pouring in including words from Jim Martin, Trey Spruance, Jared Blum, Korn his current band members and many other members of the music community. Steffan Chirazi, Faith No More's biographer during the 90's and friend of Chuck's since the 80's wrote some words for us to share. Chuck had a huge vibe, a tremendous aura but let's not dress it up too much, he was wildly unpredictable and unreliable at moments when he truly needed to exactly that. Talented? Oh yeah. He had something for sure. And that 'something' helped the early Faith No More find their mystical magical and seemingly-impossible alchemy, helped them find a degree of comfort with their personal discomfort as the creativity gelled and the music flowed. They were brilliant, and yes, it is a shame that the brilliance couldn't have been continued with Chuck back then, but it couldn't have. It was impossible. ...Sad and jarring.My sincere condolences to those family members he leaves behind." As lifelong fans of Chuck it will be hard to see passed our own sorrow, however we are thinking of those directly effected by this loss. His family, long-term partner Pip Logan, two daughters, Erica and Sophie and his grandson Wolfgang Logan Mosley. And his good friend Doug Esper. "I want the brightest, I want flourescence every day and night....For the rest of my life, open your eyes, won't you? Can't you see you're so beautiful to me?" my assignment help reviews has helped many students to choose the right website. It has also helped the students to score good grades in their academics. Our writing services review will help you to find the best writing websites for your success. It's good that you write about it. It's nice that I found this blog. Is assignment help is also a very complex task for you, and you want that somebody solve some of your assignment problem, at a very low cost . you can take help of our Experienced ireland assignment writers to solve your difficult assignment problems. Get paper help in Australia. Our specialists set up your paper and get you to full review in your tests essay writing. You can employ our specialists australiaassignmenthelp.com.